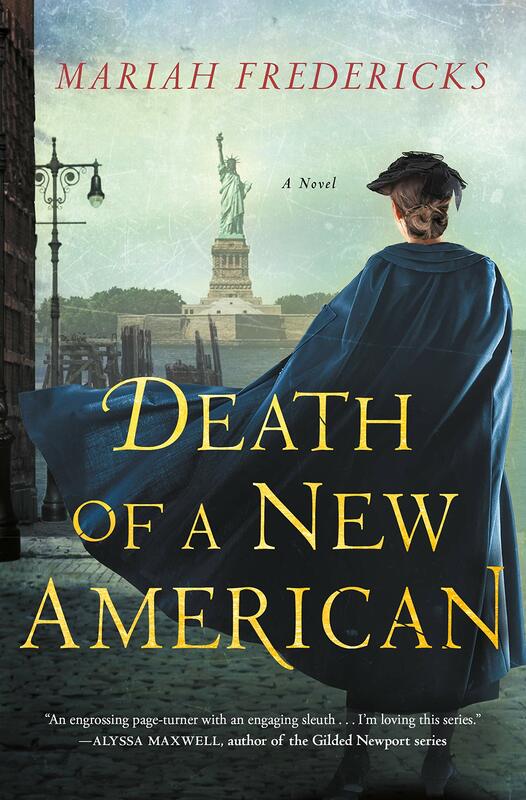 I was knocked out by Mariah Frederick’s first novel, A Death of No Importance, and wasn’t sure how her book about a maid in a wealthy American household slightly after the turn of the century could be translated into a series, but it seems it surely can be. Jane Prescott, a woman of her time in some ways, is grieving over the recent loss of the Titanic like everyone else, but unlike everyone else, she’s shepherding her charge, Miss Louise Benchley, through the trials and tribulations of a giant society wedding. The first novel and this one are framed by a snapshot of the present which then looks back to Jane’s past. That’s appropriate, as Fredericks’ passion translates across the eras. The villainization of Italians in 1912 can so easily be substituted for the villainization of Muslims at the moment. Jane teeters between the privileged world of her charge and the actual world where she lives. This all sounds like a polemic and it certainly has that possibility, but in Fredericks’ capable hands it’s far from it. She’s presenting a good story that makes the reader think. As the book opens Louisa is visiting her fiancée’s family in swanky Long Island to plan the wedding, something that is making the shy Louisa incredibly anxious. Her fiancee’s uncle, who is hosting the wedding, is well known for many reasons, but one of them is that he’s recently saved a kidnapped child, freeing him from the clutches of the notorious Black Hand. When his Italian nanny is killed in an apparent kidnapping attempt, Jane and her reporter friend are asked to discretely look into the matter. There’s a wedding to consider, after all. Fredericks doesn’t shy from the messiness of real life as Louisa’s courtship undergoes a trauma, the young daughter of the house mourns the loss of her nanny, and the lady of the house appears to be a shadow of her former self. Meanwhile the spotlight is turned on the Italians. The victim is Italian and so is the perhaps shady chauffeur, who is staunchly defended by his employer. As Jane and the reporter make their prickly way toward a solution, their differing points of view and connections make getting to the answer more assured. At one point they share a meal at an Italian restaurant. At the time Italian food was incredibly exotic, which seems bizarre to us, illustrating the fact that all of us become eventually acclimated to what is originally seen to be very different from our supposed norms. 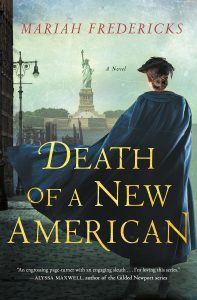 The underlying passion of these novels is one of the true attractions, though the expert plotting and character development doesn’t hurt either. Jane is a wonderfully sensible character to build a series around, and you feel as protective of Miss Louise as she does herself. Jane is gifted with a view of both sides of the wealth divide, and it makes her character more rounded, more compassionate, and more unexpected. This is one of the most vivid new series I’ve read in quite awhile.